The origins of evil are planted deeply within each of us. Evil is innocent as a child and monstrously vicious. It feeds upon the same flesh and breathes the same air as saint and martyr. Free will and personal choice direct our steps to heaven or hell and mark us as good or evil. 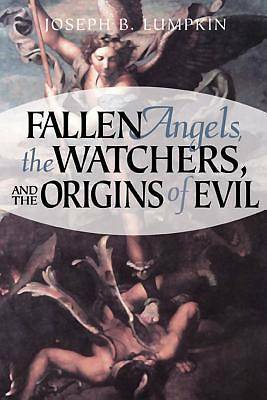 Whether we are angel, watcher, nephilim, or man, evil is a choice many give themselves over to, fully and completely. What is evil? Could it be as simple as pernicious selfishness? Could it be the drive for immediate gratification without regard for others? Man's life is limited; one hundred years or less. But, the souls of angel and watcher are eternal. Consider how much evil can be wrought through the millennia of immediate gratification on an eternal scale.